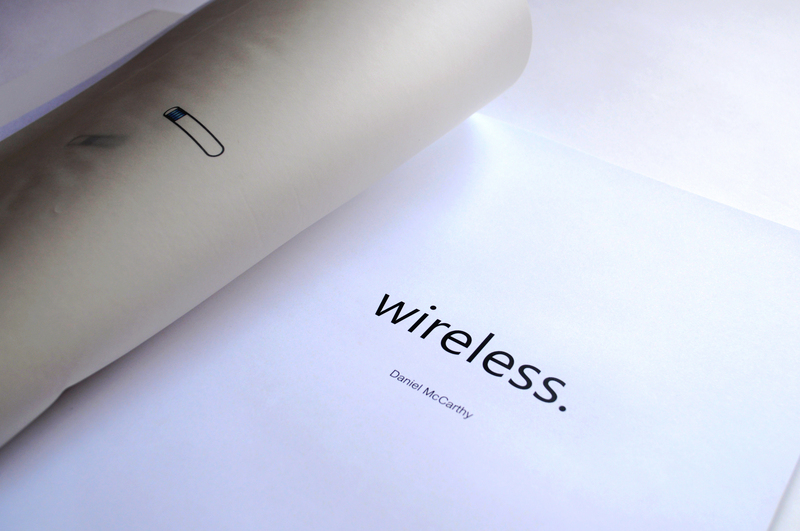 The final project from my second year at Bath Spa and to date my most successful print based piece of graphics. The brief was to create a publication and I began with the intention of creating a graphic novel around our cultural reliance upon digital services, most of which which we have little direct control over ourselves. Through the projects development this progressed from a fixed narrative into something open to interpretation and, in my opinion, more effective as a result. The simple line drawings were in part influenced by Pippa Lionni’s Facts of Life but were also intended to establish a visual connection to the sleek Apple designed computer products that are so prevalent today. 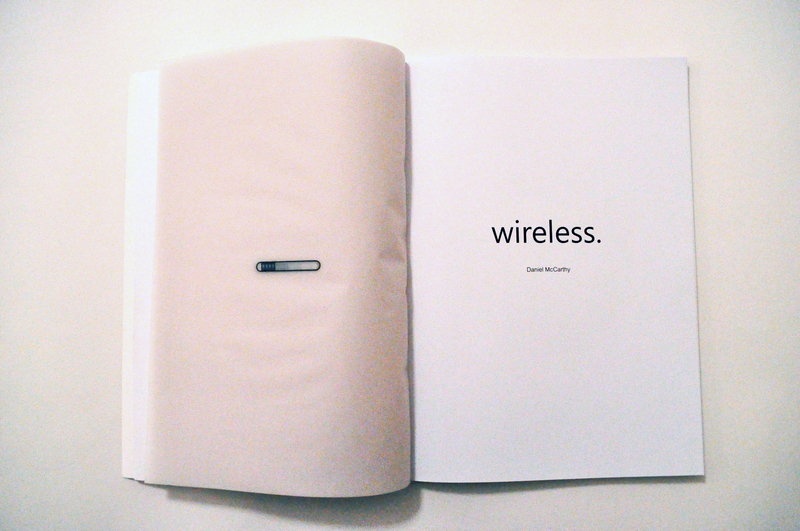 Wireless seemed an appropriate name as not only does it allude to the content but is also a literal description of a printed book in relation to electronic devices. I’ve uploaded an edited PDF version of the book to give an overall impression. However it should be noted that it was intended to be experienced as a physical book and (perhaps appropriately considering the subject matter) is less effective in a digital format. Several of the sequences used transparent paper, cut out sections or simply relied upon the turning of the page for full impact and as a result the PDF should be viewed with those considerations in mind.